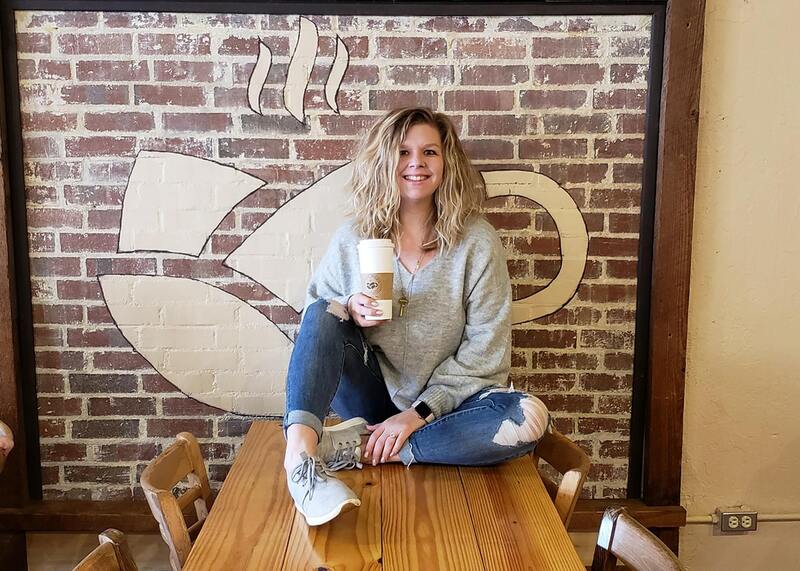 Accountant and part-time stand-up comedian turned barista and successful entrepreneur Jessica Dawson decided to pursue her dream of opening a coffee shop on Herritage Street in downtown Kinston in September of 2015. Fast forward three years, the birth of her son Arlo and thousands of frappés later, and she will soon venture into new grounds in downtown Goldsboro. Jessy and her husband James, high school sweethearts, plan to open their second Middle Grounds Coffeehouse location in mid-January. Renovations have been underway for several weeks and excitement is brewing with Goldsboro locals. “As someone who works downtown, it’s nice to see new and unique businesses open here. Downtown Goldsboro can use a place to get a good cup of coffee,” said Mark Blizzard. We recently caught up with Jessy to find out more about her grind. Chris: What inspired you to start your own business? Chris: What has been your biggest challenge? Chris: What do you love most about Middle Grounds? Chris: What are some interesting facts about your business most people don’t know? Watch the Middle Grounds Facebook Page for news about opening day in Goldsboro!